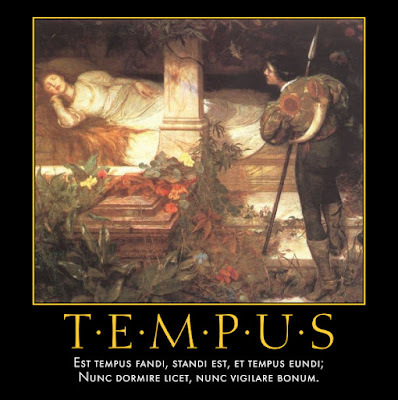 HODIE (Roman Calendar): ante diem septimum Kalendas Apriles. MYTHS and LEGENDS: The art image for today's legend shows Ino and Melicertes, and there are more images here. TINY MOTTOES: Today's tiny motto is: Palma virtuti (English: The palm of victory [belongs] to virtue). AUDIO PROVERBS: Today's audio Latin proverb is Quod licet Iovi, non licet bovi (English: What is permitted to Jove is not permitted to an ox). To read a brief essay about this proverb and to listen to the audio, visit the Latin Via Proverbs blog. ERASMUS' ANIMALS: Today's animal proverb from Erasmus is Asinus stramenta mavult quam aurum (English: The donkey prefers straw to gold; from Adagia 4.8.38). BREVISSIMA: The distich poster for today is Nunc Dormire, Nunc Vigilare. Click here for a full-sized view. Listen, look and be silent if you wish to live in peace. 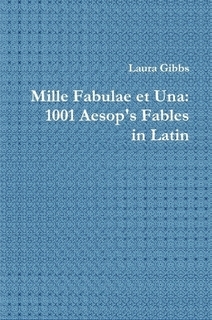 PHAEDRI FABULAE: The illustrated fable from Phaedrus for today is Milvus et columbae, a story about avian tyranny: Latin text and Smart's translation. STEINHOWEL: The illustrated fable from Steinhowel for today is de hirundine et ceteris avibus, a story about avian prophecy: Latin text and English versions. And here's LatinLOLBaby Enzo with one of my all-time favorite Latin sayings: Libri muti magistri sunt.